I’m trying to decide how much cash I should keep on hand in case there is an emergency. In most cases, credit cards are perfectly fine and there is no real need to keep cash on hand, unless you deal routinely with cash-only businesses. In most emergencies, credit cards will still be valid. It is only in dire emergencies where power is lost to large area and the communications infrastructure is temporarily down where cash becomes a necessity. History is filled with notable times when disaster preparedness was helpful. But they come infrequently enough and in diverse enough locations that many entire lifetimes can be spent without encountering one. The odds of our week at the beach coinciding with a shark attack are small. That we would be the target of the shark is even smaller. A car accident on the way to the beach, however, is a very real and present danger. Even if you are preparing for the end of the world as we know it, it is also imperative that you prepare for the more likely case that the world as we know it does not end. I keep very little cash on hand and have credit cards instead. Others, preparing for the worst, keep ten thousand dollars in cash hidden somewhere. I prefer keeping my cash in the bank where it is safe and makes me less of a target. In fact, I prefer keeping my cash invested in the markets where it will more than keep up with inflation. Historically, inflation runs at about 4.1% per year. 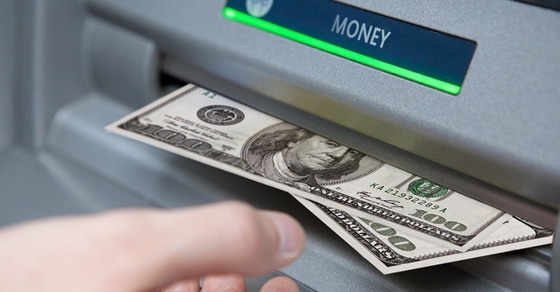 At that rate of inflation, keeping $10,000 hidden in cash loses $410 to inflation every year. Historically, stocks return about 6.5% over inflation. At that rate of return, the opportunity cost of not keeping $10,000 invested in the markets is an additional $650 per year. All told, keeping $10,000 hidden somewhere in your house costs $1,060 each year compared to keeping that money invested in the markets. To me that is a little too expensive. It is more likely that your future income will be taxed than other major disasters will occur. As a result, you should probably worry about reducing your future taxes before staging cash in your home for emergencies. We would suggest funding your Roth IRA and keeping that money available to earn more for you. There have been a few times when I have been without credit cards. Usually, that occurs when I have forgotten my wallet and have also been without the little cash I keep on hand. I get to know the managers and owners of the places I eat and shop regularly, and the times I have forgotten my wallet, they have let me use relational credit and just pay the next time I come in. In an emergency, the kindness of people who know you is the best preparedness. Consider whether having it on hand in a potential unlikely unforeseeable future is worth the definite cost to keeping it out of the market.